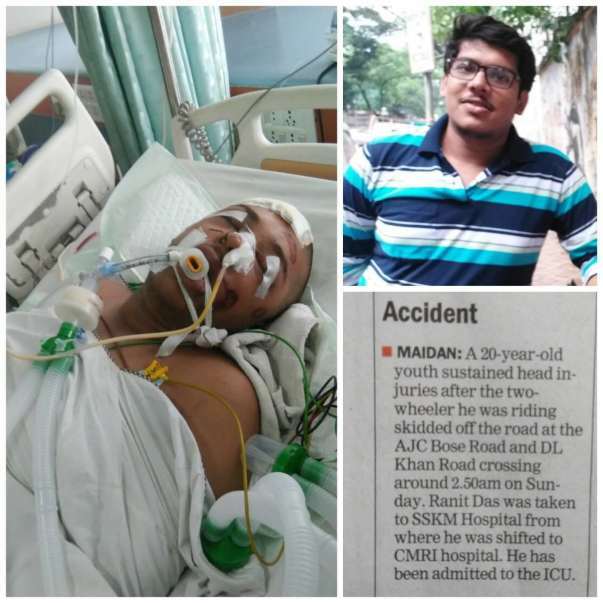 Ranit Das meet an accident on 22nd October 2017. 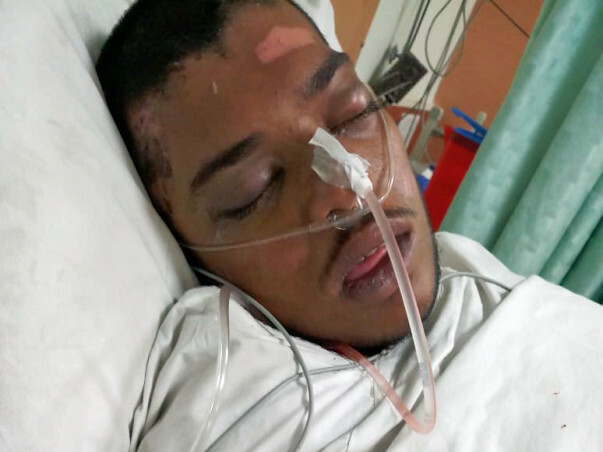 He is suffering from severe brain injuries, spinal cord crack and several other fractures all over the body. 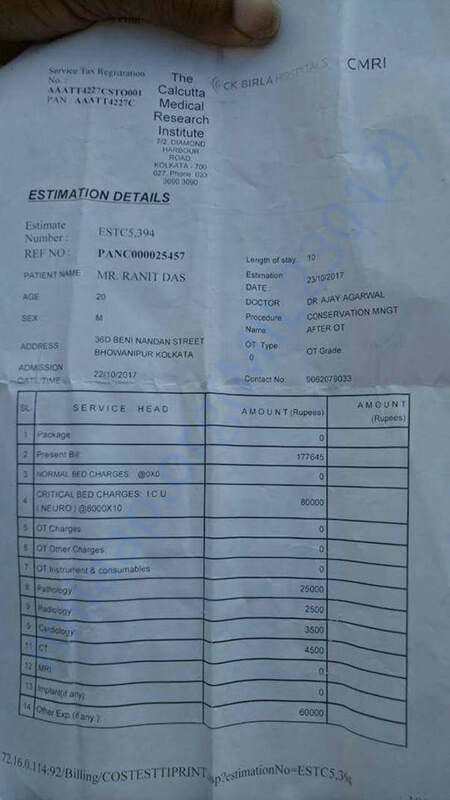 He is admitted in CMRI hospital, kolkata in ICCU. 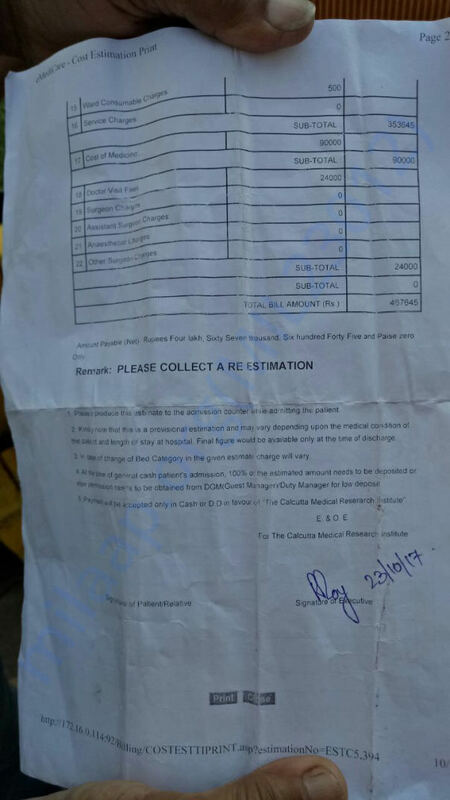 Hospital bill has increased alot. So in need of money so that he gets the best treatment. Please pray for his speedy recovery. Help to do his treatment.Thank you. It's an estimate for 10days only. Ranit is currently in the hospital in ICU. He is responding positively to the treatment. After 24 days we are pleased to hear our beloved friend Ranit's voice. Yes, he is able to speak now, though a very little. But he can speak. The doctors want to observe him some more days, after that he might be shifted to general ward. Thank you for all the support you have shown Ranit. Please do pray for his complete and speedy recovery. Would request you to share this campaign further with your friends and family. He is going good, though he is still unconscious, he is trying to respond by the movement of his hand & slightly blinking his right eye while the medical officer calling him by his name. According to the doctor when he will be fully conscious, a maxillofacial surgery and the treatment of his eyes and spinal cord will be done. Thank you for the support and blessings. Please pray for his health and speedy recovery. Would request you to share this campaign further with your friends and family. God bless you brother. Get well soon.